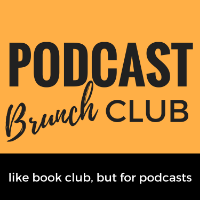 This month members of Podcast Brunch Club (PBC) around the world are listening to a podcast playlist on "Community Responses to Disability." The Memory Palace is a proud member of Radiotopia, from PRX, a curated network of extraordinary, story-driven shows. Music We hear Valentine My Funny by Nils Frahm and F.S. Blumm from the album Tag Eins Tag Zwei. Notes This idea came to me a long time ago while researching an old episode. I read an extraordinary article from the 1890s that hung with me, particularly the notion of folks writing in to try to become sideshow attractions. Wendy Lu was born with vocal cord paralysis, and for the first 22 years of her life she always had a caretaker around. In 2015, she moved to New York City alone to pursue her dream of becoming a big-time journalist. Meet Wendy Lu._She and Her is a podcast and radio show produced and hosted by Sandra Davidson and Anita Rao in the studios of 104.7 WHUP Hillsborough, NC. Original music by Cameron Laws and Sam Gerweck.